The Association for Learning Technology (ALT) represents individual and organisational Members from all sectors and parts of the UK. Our Membership includes practitioners, researchers and policy makers with an interest in Learning Technology. Our community grows more diverse as Learning Technology has become recognised as a fundamental part of learning, teaching and assessment. Our charitable objective is “to advance education through increasing, exploring and disseminating knowledge in the field of Learning Technology for the benefit of the general public”. We have led professionalisation in Learning Technology since 1993. Aula is a communication platform for education that replaces emails and learning management systems (e.g. Moodle, Canvas, Blackboard, D2L)with digital infrastructure designed to encourage interaction and engagement. Think of Aula is an institution’s digital campus: a shared space that brings together students, staff, and educators. Aula is designed to enhance teaching, enable new forms of collaboration, and provide an engaging student experience. Aula was founded at the University of Oxford in 2016 and early adopter universities include the University of Nottingham, the Royal College of Art, and Ravensbourne. Learn more about Ally, a ground-breaking plugin that focuses on making digital course content more accessible. Blackboard Collaborate, web conferencing application built for learning and SafeAssign, with integrated workflows the solution is easy to use comparing submitted assignments against a set of academic papers to identify areas of overlap between the submitted assignment and existing works. Digital skills are essential in today’s workplace: there are few jobs that don’t require them, yet employers report a shortage of digital skills. It is therefore vital for teachers to expand the digital skills of their learners. The Blended Learning Essentials programme consists of four free online courses to promote effective practice and pedagogy in blended learning. Blended Learning Essentials is a free online course developed by the University of Leeds and UCL Institute of Education, supported by the Association for Learning Technology and funded by the Ufi Trust. Bloom VLE, developed and supported by the software services team at CoSector –University of London, have been offering customers Moodle & Mahara hosting and support solutions since 2006. We continually invest in research and development and help to improve Moodle and non-Moodle user platforms by offering support, consultation, application development and project work. As part of the University of London we are able to leverage our knowledge and expertise to support learning technologists in their aims to provide the best student experience. Explorance is a Learning Journey Analytics provider that supports organizations in making the right decisions with fact-based feedback data. Through its Blue suite of products, organizations can assess needs, expectations, competencies, and monitor improvement over time. Founded in 2003, explorance is a privately held corporation headquartered in Montreal, Canada with business units in APAC, Europe, and the MENA region. Since 2014, explorance has been consecutively ranked as a top employer by the Great Places to Work Institute®. Explorance’s clients span a wide variety of learning organisations including academia, consulting firms, government institutions, and corporations. Learn more about the exploranceapproach. Inspera is the leading European provider of high-stakes digital examination solution. We offer an end-to-end solution for higher education institutions and support examination processes for some of the leading universities in Europe with our innovative, reliable and secure service.Our cloud-based platform, Inspera Assessment, is accessible from any location and works with PC, Mac, iOS, and Chromebook. Inspera Assessment is tailored for open book, closed book, summative and formative exams. It offers dedicated support for all user roles involved in examinations with a range of advanced functionality to support even STEM examinations. Designed to meet all standards and regulatory requirements on examinations,our solution is a first choice to serve first-time learners across all levels of education, nationality, and needs. Jisc provides digital technology and resources to the UK’s higher education, further education and skills sectors. They are seeking to make the UK the most digitally advanced education and research nation in the world. Jisc plays a pivotal role in the development, adoption and use of technology by UK universities and colleges. They put students at the heart of everything they do to deliver technology solutions for teaching and learning, making their experience better. The crown jewel of Jisc’s support is Janet, a secure, state-of-the-art network infrastructure that they own, manage and operate, which spans all four nations of the UK. 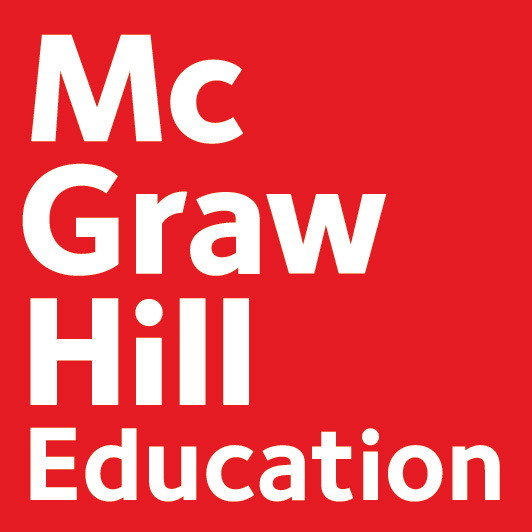 McGraw-Hill Education’s vision is to unlock the full potential of each learner and our mission is to accelerate learning.We believe that our contribution to a brighter future for each learner lies within the application of our deep understanding of how learning happens and how the mind develops. It exists where the science of learning meets the art of teaching. To achieve our vision and accomplish our mission, we have evolved our business from a print-centric producer of textbooks and instructional materials, to a leader in the development of digital content and technology-enabled adaptive learning solutions that are delivered anywhere, anytime. Myshowcase.me – our innovative lifelong eportfolio with stunning new feature. And we may even reveal a micro learning platform for smartphones. For more than 100 years we have been providing educators with many of the tools that they need to deliver a high standard of education. The landscape has changed a lot in that time, and so have we. Using our flexible content from world-renowned academics, our innovative digital technology, and a wealth of experience, we create and deliver personalised learning solutions and services that improve educational outcomes. Visit uk.pearson.com/ for more information on how we can help your institution. Used by organisations across the globe to support the needs of today’s independent, anytime, anywhere learners, PebblePad is an award-winning portfolio and personal learning platform. As a company, we’ve spent the past 14 years blazing a trail in the e-portfolio and personal learning and assessment space, and we have absolutely no intention of stopping. Our mission is simple – to help learners shape and share their unique skills and attributes in an ever more competitive world. Are you concerned with improving student satisfaction to help attract and retain students? At RM Results we ensure the integrity of assessment results in over 150 countries, so that every student gets the results they deserve. Visit us at stand 18 to discuss assessment and feedback in your institution. Turning Technologies is the leading global partner for learning engagement and assessment technology focused on measurably improving instructor and learner success. TurningPoint, our easy-to- use interactive response system helps to enhance and deliver instructional and assessment content in ways that improve learner success, while also collecting critical data for meaningful use. To date,we’ve delivered TurningPoint interactive polling software and response options to over 20 million people in more than 100 countries. Turnitin actively partners with educators and institutions to ensure education with integrity through formative tools and educational resources. Our originality checking and authorship investigation services support academic integrity, promote critical thinking, and help students improve their authentic writing. Turnitin provides instructors with the tools to prevent plagiarism, engage students in the writing process, and provide personalized feedback. WISEflow from UNIwise is an end-to-end exam & assessment platform that makes it easy for your educational institution to switch to digital exams anytime and anywhere. It is a cloud-based software-as-a-service-solution (SaaS), that works on students’ own devices (BYOD) and supports all work processes from the handout of assignments and submission of papers, to assessment, grading and providing feedback. Universities and schools keep seeking out easy-to-use, secure and effective exam platforms that provide huge improvements for all user groups. This is exactly why WISEflow, continues to be the preferred platform for educational institutions across Scandinavia. WolfVision is a provider of systems and services to universities, colleges, and other educational institutions. An acknowledged ‘technology leader’ in the Visualizer and presentation solutions market, WolfVision is the company that takes the lead, setting standards worldwide for innovative, user-friendly, high performance presentation, and collaboration solutions. Our award-winning active learning classroom collaboration solutions represent a significant step forward in learning space design and are developed specifically to support higher education classroom environments. We offer comprehensive consultative guidance on customised combinations of our hardware systems, software, and accessories, enhancing communication, collaboration, and knowledge sharing in learning spaces of all types. URKUND is a plagiarism detection system that has been indexing the Internet for over 18 years. This makes URKUND searches the most thorough available in the field of plagiarism detection. URKUND is a flexible service with multiple implementation options and can be integrated into almost any VLE/LMS via its acclaimed web service. As a service developed and hosted in Sweden, URKUND complies with GDPR and other European storage and integrity regulations. Based in the UK, Ajenta create simple, cost effective communication tools, specialising in building e-learning and virtual classroom technology, telehealth and telemedicine platforms as well as corporate video conferencing platforms. Vscene, is a service developed in partnership with Jisc, Ajenta now own and operate Vscene, which was developed specifically for the education and research sectors. Vscene enhances teaching and learning, supports research and facilitates collaboration, allowing you to establish links with otherorganisations or campuses, record lectures/classes, facilitate group work, assessments, remote students or those with mobility difficulties can participate in learning using the Vscene platform.